Milliken Creek Inn & Spa is the ideal hideaway for elopements in the Napa Valley. Located in one of the most romantic wedding destinations in the world, Milliken Creek Inn & Spa offers an idyllic outdoor garden setting nestled along the Napa River. Bask in the delightful warmth of the Napa sun, while the quiet whispers of the Napa River hum in the background, as you and the love of your life exchange vows. Romantic and intimate, a Napa elopement at Milliken Creek Inn provides discerning couples the utmost in privacy and exclusivity. Forgo the stress and chaos of a large-scale wedding and enjoy the personalized pampering and attention to detail that a Milliken Elopement provides. If you are planning on eloping in Napa Valley, the Milliken Elopement Package is the perfect solution. 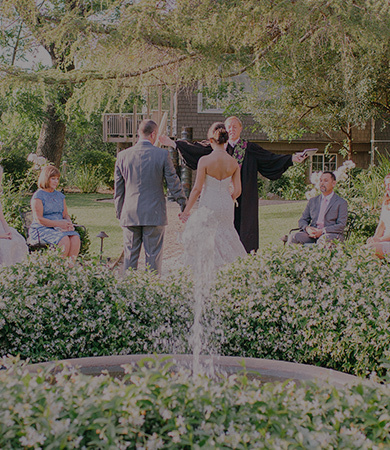 Celebrate your vows in a truly private setting for just the two of you. 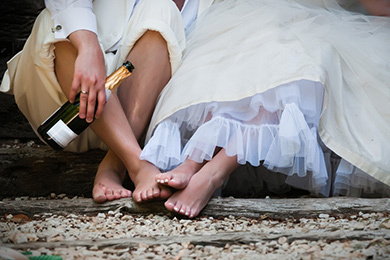 Have the Napa Elopement of your dreams at Milliken Creek Inn & Spa. Elopement Package is available on Sundays through Thursdays only and begins at $2,350* plus tax. If you'd like a more customized package, our wedding team will be happy to work with you to create the personalized wedding you have always desired.